Despite humble looks, PIA stands tall among VPN providers for its low price, rich security features, and great customer service. Private Internet Access, or PIA for short, doesn’t look like much. After the initial setup, it runs entirely from the Windows system tray. A novice user can set it up in seconds, but more advanced VPN veterans will find a thorough selection of settings to tweak as well. 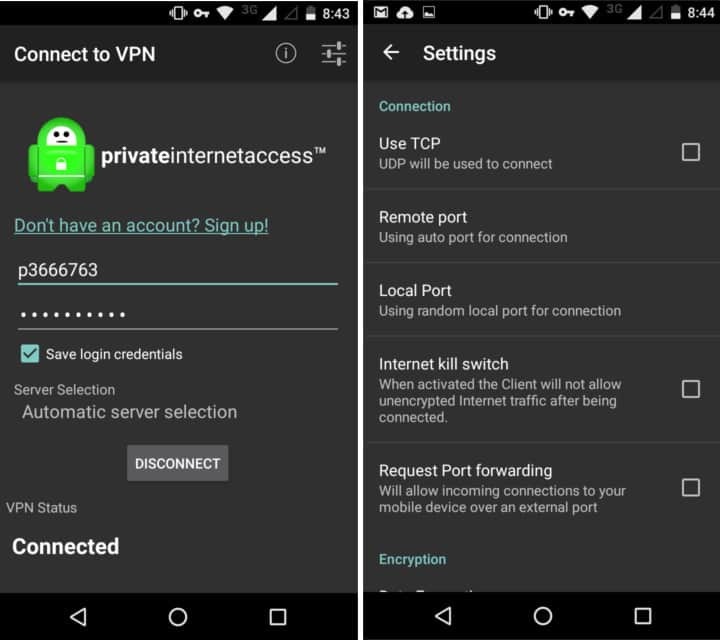 Despite the lack of a flashy GUI, PIA is a powerful and feature-rich VPN under the hood. A single month costs US$6.95 (GBP 4.99), but a year subscription will grant you a rock-bottom price of just $39.95 (GBP 28.70), which comes out to $3.33 per month. Price-wise, that makes PIA a top contender among the many VPN providers on the market. No free trial is available, but every subscription comes with a 7-day money-back guarantee. PIA values anonymity, so customers can pay with bitcoin or even unused gift cards in addition to more traditional payment methods. A $25 Starbucks gift card, for example, will net you 100 days of access. You may connect up to five devices simultaneously to PIA on a single account, which makes it a pretty unbeatable bargain if you can split the bill between family members or housemates. That stipulation is device-agnostic, and PIA has apps for Windows, Mac, Linux, iOS, and Android. The default connection protocol is OpenVPN, which is probably the only one you’ll need. PPTP, L2TP/IPSec, and a SOCKS5 proxy are also available. Bandwidth and usage are unlimited, as are the number of server switches. DNS and IPV6 leak protection can be switched on in the settings menu. The former ensures that DNS requests are routed through the VPN and PIA’s private DNS servers. The latter disables IPV6 traffic while on the VPN, opting for IPV4 when possible. These options offer a greater level of privacy, but can cause some web pages to play up and lead to connectivity issues in certain environments. 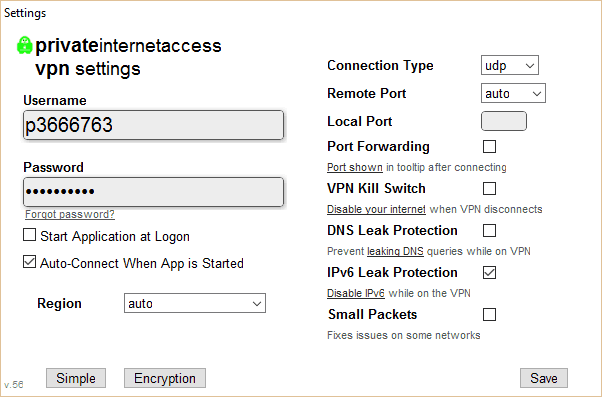 A VPN kill switch can be enabled, which stops unencrypted internet traffic entirely should your connection to the VPN server drop. This stops anyone from snooping while your guard is down and the VPN reconnects. Does PIA work with Netflix? VPNs are a popular way to access the increased catalog of shows and movies available on US Netflix compared to other countries, however many VPNs are blocked by Netflix. We were unable to connect to US Netflix with Private Internet Access which appears to have succumbed to the VPN ban. If access to US Netflix is an important consideration in your choice of VPN, check out our article on this Netflix VPN ban workaround or see our roundup of the best VPNs for Netflix. Setting up PIA is a breeze. You only need to activate your account after sign up once. The one-click installer is a mere 25MB and doesn’t require the user to do any configuration. After about one minute, PIA is up and running. It’s worth noting that one of my PCs automatically restarted after installation, but this was not the case on my second PC. PIA runs entirely from the system tray. There’s no dedicated GUI except to tweak settings, and even that is very minimal, design-wise. The system tray icon is red for off, gray for connecting, and green for connected. Right clicking the icon will bring up the server list, as well as a button for the settings menu and the option to send a slow speed complaint. The system tray design choice makes PIA very non-intrusive, but it lacks any indication of whether a server is down or experiencing high traffic. The settings menu is where you enter you username and password, decide when the app runs, choose encryption and connection protocols, and enable/disable different features. The mobile app is as bare bones as its desktop brethren. It comes with many of the same features and options including the mighty kill switch. That said, it’s a low-resource app that doesn’t even rank in my top 10 biggest battery consumers. You can enable one-click connect, which turns on the VPN as soon as the app is opened. PIA supports DD-WRT, Tomato, and PfSense routers if you prefer to set up the VPN in your router instead of each individual device in your home or office. PIA runs servers in 24 countries, with multiple locations in hotspots like the US and UK. That number pales in comparison to some rivals, but it should be sufficient for most users. We never had a problem connecting to any server on the list, and connections are remarkably stable. Not once did the connection drop and engage the kill switch, even on the mobile app over wifi. As for speed, 1080p HD video on Youtube and Netflix played without ever having to stop to buffer. I even played a few matches of Brawlhalla–a Super Smash Bros-style fighting game on Steam–online with no noticeable lag or disconnections. To make the speed tests as empirical as possible, we downloaded the same 82.7MB file (compressed from 103MB) three times from three different servers at three different times per day for a total of nine tests. For comparison’s sake, we did the same for ExpressVPN, which I also happened to have installed, and without a VPN as a control group. I connected to servers in Florida and Texas in the US, which are geographically closest to me, and in London. In the boxplot below, the thick black line represents the median download time, while the red diamond represents the mean. Lower is better. PIA scored the lowest median download time (73 seconds), but inconsistent performance led to it scoring the highest mean average (94 seconds). This suggests that its servers can be fast but are probably more susceptible to slowdowns during peak usage periods. It may be worth noting that the furthest outlier was during our London test at around 5 p.m. local time. AES-128 encryption, SHA1 authentication, and RSA-2048 handshake are the recommended default settings under which we did all our speed testing. AES-256 and Blowfish are also available for encryption and SHA256 for the authentication, as well as five other handshakes. You can even opt to disable encryption and authentication altogether for a faster connection, but it’s not recommended as doing so eliminates all your VPN’s security measures. The VPN kill switch, DNS leak protection, and IPV6 leak protection can weed out most remaining vulnerabilities. 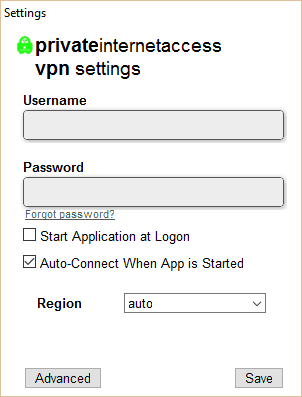 PIA is a logless VPN, meaning it doesn’t monitor your traffic or any activity that takes place over the VPN. This is especially important because the company is based in the United States, well within the jurisdiction of the NSA and other government agencies. Without user logs, however, there’s not much to give up. Of all the protocols available, OpenVPN (the default) is most secure for the widest range of purposes. PIA offers 24/7 live chat support, but no phone support. The live chat support responded within seconds around midnight on a Sunday evening, US East Coast time zone. We were even more pleased to discover that the customer service reps weren’t typing from a list of cookie-cutter responses, but actually seemed to be quite knowledgeable about their product. All of our questions were answered quickly and succinctly. The website contains a useful FAQs section as well as extensive forums where users can pose questions, advice, and comments to each other and PIA staff. During our testing we never received a single unsolicited email or any other communication from PIA. The apps contain no ads nor promotions. Despite its humble looks, PIA stands tall among VPN providers for its low price, rich security features, and great customer service. Performance can be inconsistent, but it’s nothing a quick server switch won’t be able to solve in most cases. We would have liked more server locations, but that’s quite a minor complaint. Five simultaneous devices is a huge perk usually reserved for more expensive family plans, and the fact that you can pay with bitcoin or gift cards makes PIA that much more anonymous.